In my experience creating law firm website content, it is rarely that simply writing an effective attorney bio is a problem. The challenge is convincing the attorney that they do not want to sound like every other attorney; that his or her bio is no longer a menu of features, it is a useful profile of your offer, and it really does matter, a lot. Most law firm marketers will struggle with this conundrum at some point or another—the bane of our existence. At best, the attorney bio will include a tidy laundry list of practice experience and representative cases. At worst, it will be interchangeable. It will look and sound the same as every other attorney bio on any other law firm website. And that’s just not helpful for visitors—prospective clients—who are often trying to differentiate among a crowded field of candidates. In most cases, it’s the attorney’s fault—an attitude of precedent—that bio content is so bland. They have set in their mind a formula of what an attorney bio should be and to deviate would violate some unwritten professional code. 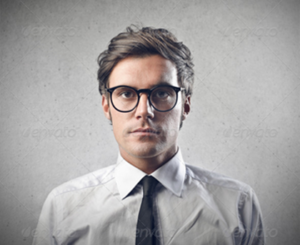 So, what’s a content marketer to do? Think big. Act bravely. It’s not a bio, it’s a profile, and you have to be really smart in order to bring “them” along with you. Fact is, today many visitors to the law firm website enter directly on the attorney bio page—thanks to search engines—making the home page “branding” less relevant and doing away with those boring bio pages more critical. They are the heart and soul of law firm web content! The way I approach the bio writing process involves three steps. (1) Convince attorneys that their bio is a profile and it needs to be compelling. (2) Pull that compelling story out of them. The third part is, however, the toughest. (3) Don’t let them dictate the final product. In too many cases that I care to recall, I’ve worked with frustrated marketing directors filled with good intentions of delivering relevant, benefit driven content only to have plans break down at the 11th hour because attorneys got cold feet over doing something different. But, you’re the marketing expert. You’ve got your finger on the pulse of what makes for compelling content. You know what readers/prospective clients need and what they want to find when checking out an attorney’s profile. You must be brave and lead the charge. Whether you hire someone else to do the writing or not, the quest to rid your website of meaningless content is in your hands. I’m sure you’ve encountered the subtle difference between having closed numerous deals, having closed various deals, and having routinely closed numerous and varied deals for unnamed international, regional and local clients. Most lawyers prefer that sort of ambiguity when it comes to promoting their services in their attorney bio. But they are wrong. Enough is enough. Stand tough. Indisputable, there is only little to say about a practice if the attorney isn’t willing to “tell their story.” As an example, I’ve recently perused bios where partners, including the managing partner, listed their previous law firm experience, as if that was important to clients. If your attorneys are still talking about where they’ve been and not where they are, that’s a big red flag. Do not confuse form with substance. I’ve seen some clever bio page formatting—set ups with tabs to social media profiles, article and blog feeds, and links to “read more.” All great stuff, but if the narrative is focused on features, not benefits; if it doesn’t speak to the audience but rather to what the attorney deems to be most important about his or her history. All the latest technology and beautiful CSS formatting in the world won’t compel readers to engage. Content needs objectivity. The profile is not a place to highlight what an attorney “thinks” the prospect would like to know. What do readers need or want to know? You know and you’re going to do your best to make that happen. This takes most attorneys out of their comfort zone. Instead of everyone being the same—a person with a law degree—I set my focus on how they are different. To do this, I set up a brief interview. During the interview I ask the attorney about his or her passions outside the law—to get them fired up a bit. Then, I ask them to elaborate. Do their outside passions give them any unique insights or skills to the handling of a difficult case or a client deal? Tell me that story. That’s the really good stuff. It’s what matters. Don’t be discouraged if they don’t immediately open up. It may take a little probing and prodding. I find that they like the challenge. Stay with it. Push. For example, I was able to get a lawyer to translate his experience in obtaining his pilot’s license to the intellectual property transactions he “routinely” handled. Another lawyer with an extensive wine collection focused on small vineyards and wine makers discovered that she had in fact applied similar decision-making skills in counseling small businesses. And, a managing partner with a passion for Harley Davidson motorcycles confessed that he channeled the company’s brand values whenever he was faced with tough opposition in the courtroom. These stories didn’t necessarily appear in the attorney profile, but the passion and the message did. In getting an attorney talking about their passions and their broader knowledge, it can really open up the conversation. Not in every case, but when it does, the results are tangible. The idea here is to help attorneys realize the specific benefits their clients receive, rather than simply the features of their practice. For each attorney session I first asked them to talk a bit about their prop. That was mostly fun. Then we shot a few poses of them with their prop. They relaxed. One reluctant attorney simply brought books from his desk and when we asked him to talk about what was in them he did, and it was great! (PRACTICAL POINTER: I took notes during the sessions and used them as prompts during the content interviews.) Then we took the prop away and did some formal head shots. It was sooo interesting. The best photos I’ve ever seen. When they let their guard down and lightened up, we were able to capture sincerity that didn’t look anything like a high school yearbook photo or a mug shot. When the proofs arrived, some attorneys wanted to use the prop pics on the website and we did! Later, they reported that it was highly effective as a conversation starter. (This of course was before social media, which in some ways has the same effect of introducing a more “personal side” to the web presence.) We even used some poses for the home page. Later, several people asked me if we had hired models. Haha. Overall, the approach was a success. The idea here was to break down walls. Problem + Agitate + Solve= PAS formula. In this approach, accurately described by Demian Farnworth at Copyblogger, I ask the attorney to focus on their most profitable clients or matters—pick one, only one. Next, we define the most common problem that causes the client’s pain—why did they seek out your services? Then, I ask them to explain that which can accelerate that problem—the what-if scenarios agitate. I follow this by a discussion of solutions that the attorney has applied in the past, stopping short of any that might be construed as offering legal advice. 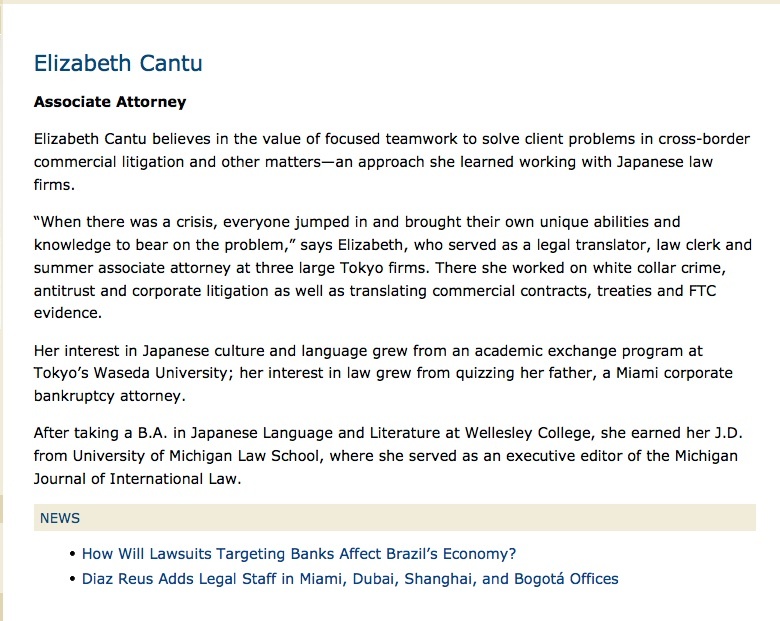 In the final product—the attorney bio/profile—we write the lead using the PAS scenario. The attorney becomes highly accessible because it describes a benefit, not just a feature. Truly, it doesn’t matter that the problem is not everyone’s problem. Simply describing a problem that actually exists and suggesting that this attorney can offer a solution—not a specific solution—can inspire confidence and be memorable. This attorney solves problems—whatever that problem may be. Not every law firm has a budget for lawyer interviews or creative approaches. You can always go with the down and dirty “bio questionnaire.” Although rarely will you get the same detail, if you can write the questions so as to elicit benefits rather than features, you should be able to compose something useful. In my experience, it’s a tough sell to convince lawyers that the only thing that matters is the value proposition—the benefit to the client—when they’ve spent thousands of hours perfecting their skills, accumulating expertise, and earning that degree from a prestigious law school. All they can really see is those features. And yes, that matters, sometimes. When it doesn’t, the bio is basically a placeholder. You’ve lost a prime opportunity to speak to your audience in a language they understand. Be brave. Be bold. Be memorable. In our connected, global marketplace, the attorney profile may very well be the first impression some one has of your law firm. If you desire professional assistance with strategy or writing, contact me. VirtualMarketingOfficer Blog » “Ghostwriter? That is unethical,” says the law firm marketing director to the ghost.